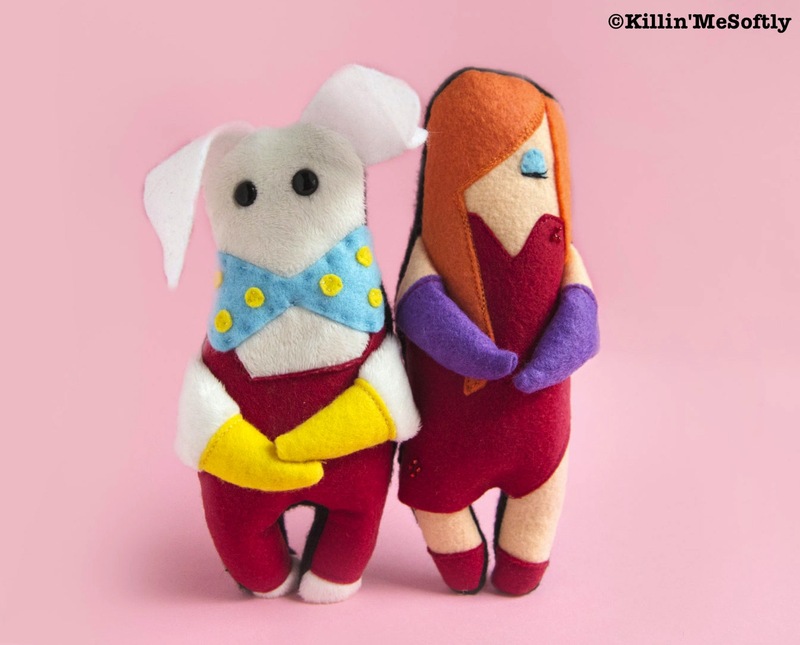 Always on the search for unique, custom Jessica Rabbit collectibles I found these fantastic plush dolls by Killin' Me Softly on Etsy. 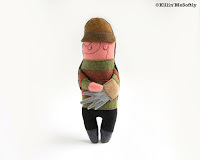 Artist Andrea Gilletti creates hand-sewn plushes which range from the creepy, to the cute. She offers handmade plush felt dolls, brooches and painted portraits. "I draw inspiration from things that I love, like horror and slasher movies, Tim Burton, Nintendo and my greatest love - Disney!" 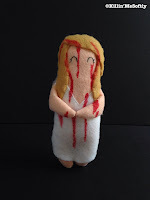 It's clear from her style that Andrea loves was she does, and you'll be sure to find a great gift for someone, or a custom order for yourself: "I love making things that are both cute and creepy and would love to make any custom plush you can think of in my style! Since the dolls are handmade they are all one of a kind and a special addition to any fans collection of geekery, Disney, Tim Burton or horror memorabilia." says Andrea. Her custom Roger and Jessica Rabbit dolls exude the sweetness of the cartoon couple, while other characters like Carrie and Freddy Krueger still maintain their scary appeal... while being adorable. 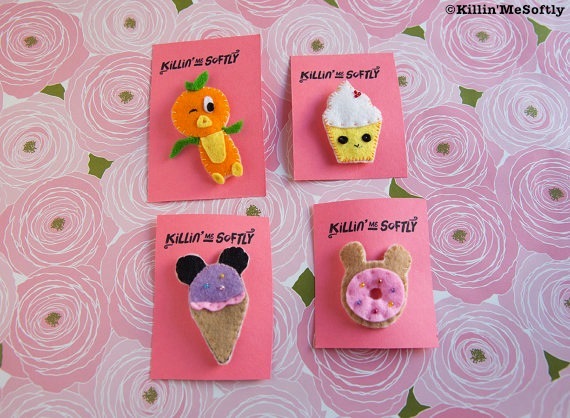 Check out Killin' Me Softly on Etsy today!